I was lucky enough to use the "I do" image from A Day For Daisies. The image was a little beauty to colour with my promarkers. using 2 different fonts on the pc. I used a dovecrafts backing paper, which I think looks very lacey too. the butterfly and the brides veil. 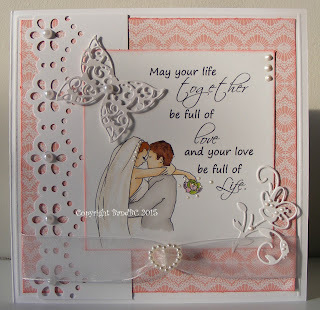 Lovely wedding card...thanks for joining Brown Sugar Challenge! Vic, this is a great card. I love your beautiful colouring of that super image and your card design is so pretty. All just perfect. Such a pretty card. I love this image and all the lacy diecuts. 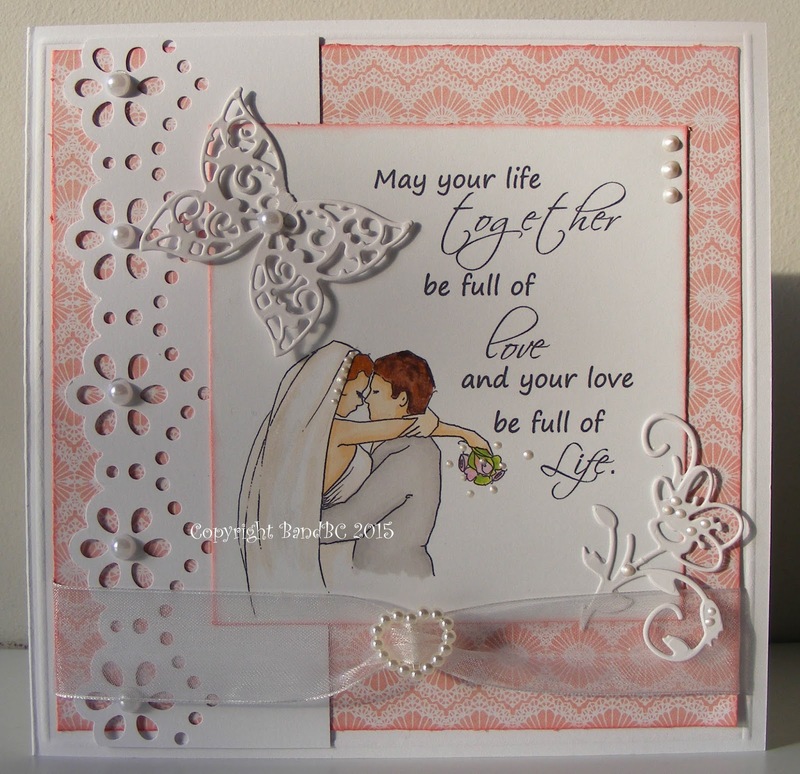 Thank you for sharing this with us over at Simply Papercraft Sue DT x.
I love this wedding card!!! Thanks for playing with us at Brown Sugar Challenge this week! Just lovely! Thanks for sharing with Dragons Lair! Love your style! Nice die-cuts. Thanks for joining us at NSHK. Beautiful and sweet card! I LOVE the sentiment and image! Thank you for playing along in the Word Art Wednesday Challenge! Have a blessed day! A wonderful wedding card. The soft colours and sentiment are lovely. wow love your card. Thanks for joining us at Cheerful Sketches. Good luck!! Thank you for playing with our sketch at Cheerful Sketches.